Hi folks, I'm Jeffery the gull and I'll be your guide today. What you see here is a fleet of boats gathering for an afternoon cruise. I love when these boats go out because if I fly over them and act cute, the people will throw me some of their food, and it ain' just popcorn like those cheap people over at the canal. Well, gotta spruce up a bit and look my best. Have a good visit to the harborcams. See ya around. 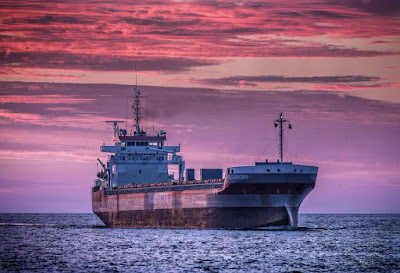 Edwin H Gott arrived Two Harbors this afternoon. Lightning storms rolled through the region this morning at 2:30. While the dog hid under the bed, I snapped a few photos before the rain started. Just a heads up! 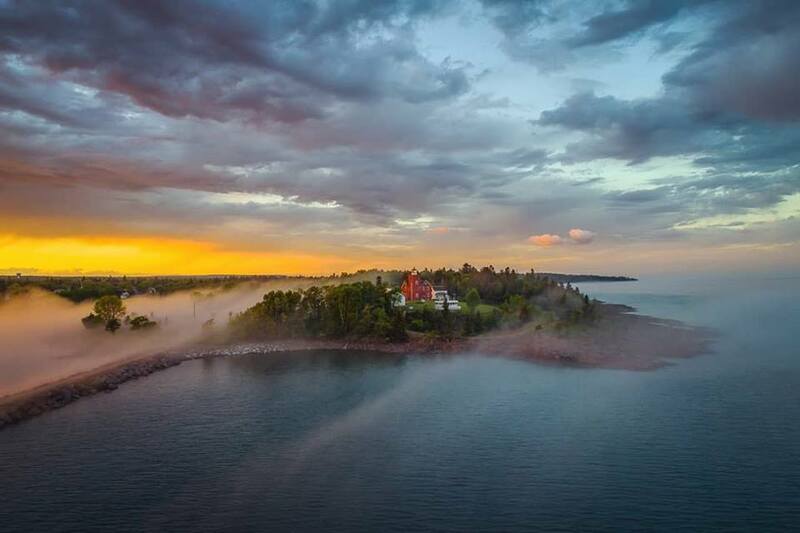 The Inn on Lake Superior has made some nice upgrades to their camera. Check it out It gives a front row seat to the Lakewalk. The cam is listed on the right menu under Lakewalk. 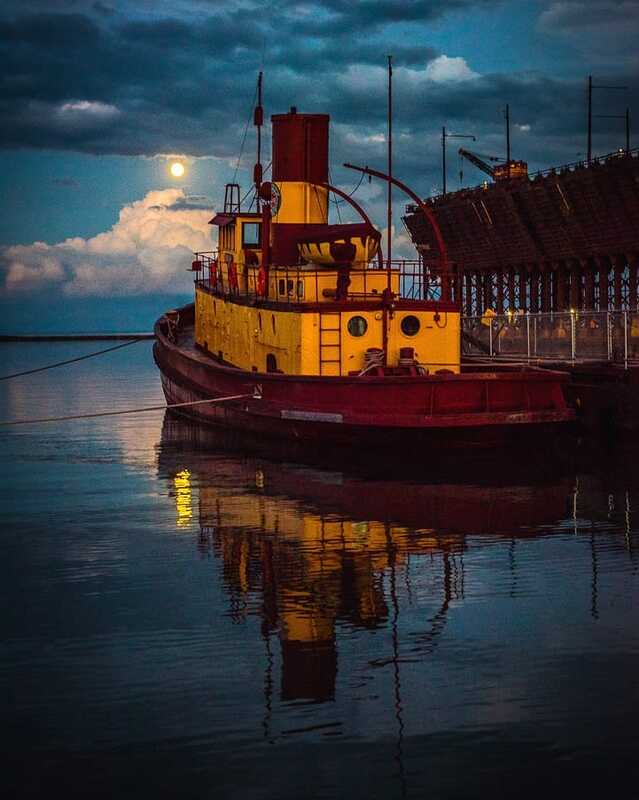 Walter J McCarthy Jr departed Duluth at 08:00 this morning. Algoma Guardian arrived Duluth this afternoon. 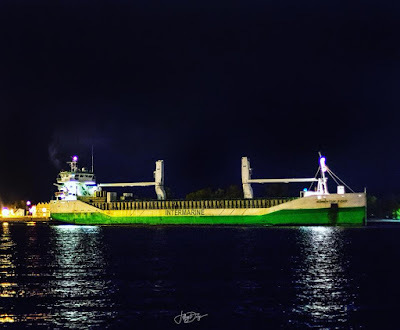 Cason J Callaway arrived Two Harbors this morning. 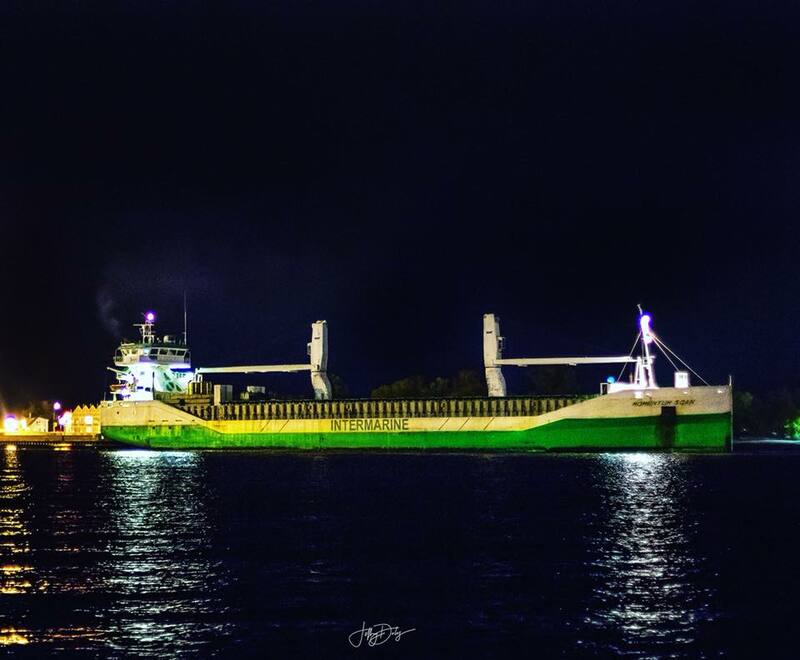 Rike arrived Duluth this evening carrying general cargo. Colder by the Lake Today! With howling winds off Lake Superior cooling things off today - Remember when it was actually cold last December. 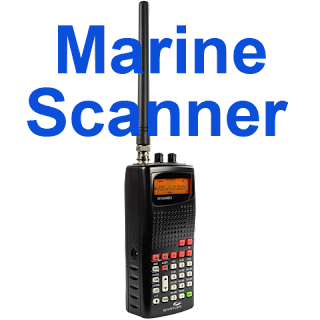 The marine radio scanner is now active again. The link is on the right side column. I never get tired of sunrises over Lake Superior. This morning was particularly beautiful. I am so blessed to be able to share the images from the cameras and so thankful for all who support this effort. I am humbled and hope to see more mornings like this, God willing! Question: What's with the red/brown water? Answer: After heavy rains like the record downfalls of the past weekend, red clay gets washed into the harbors, especially from the Nemadji River. The clay eventually settles after a few weeks and the water clears up. Fuldaborg arrived Duluth this morning to load grain. I am currently working on the marine scanner which was disabled with the latest Windows 10 update. My PC is currently in the shop getting the drivers restored and hopefully, I will have the scanner back up by the end of the week. After a quick inspection, the American Spirit departed Duluth going about its business. Cudos to the crew whose actions prevented a greater mishap yesterday. 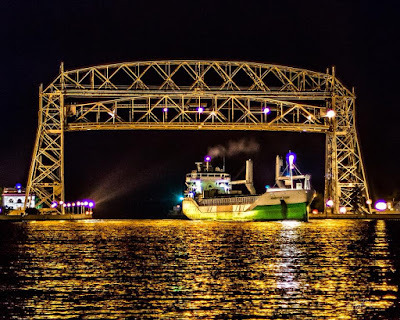 With the Duluth Shipping Canal once again open for business, the 1000ft American Integrity entered port just after midnight. 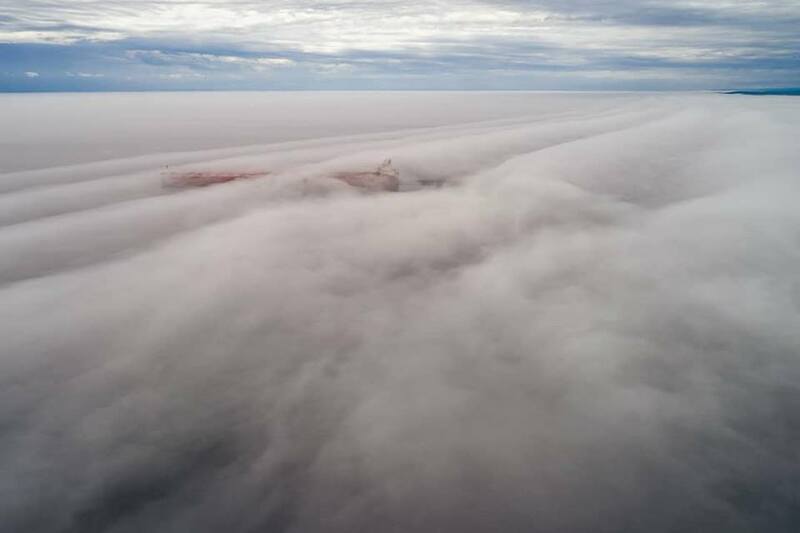 Incredible photo of the Edwin H Gott blanketed in fog - taking by Christian Dalbec of Two Harbors. 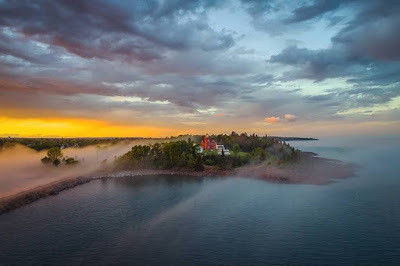 The harbor at Two Harbors is an incredible place of beauty and serenity. Here, the largest boat on the Great Lake quietly makes its way through a blanket of fog. Crafted by the Hand of God - Always different and always beautiful, a sunrise over the big lake settles the soul. The logs in the water have been washed out by heavy rains. A view from a few different angles gives you an interesting perspective on the size of the American Spirit. 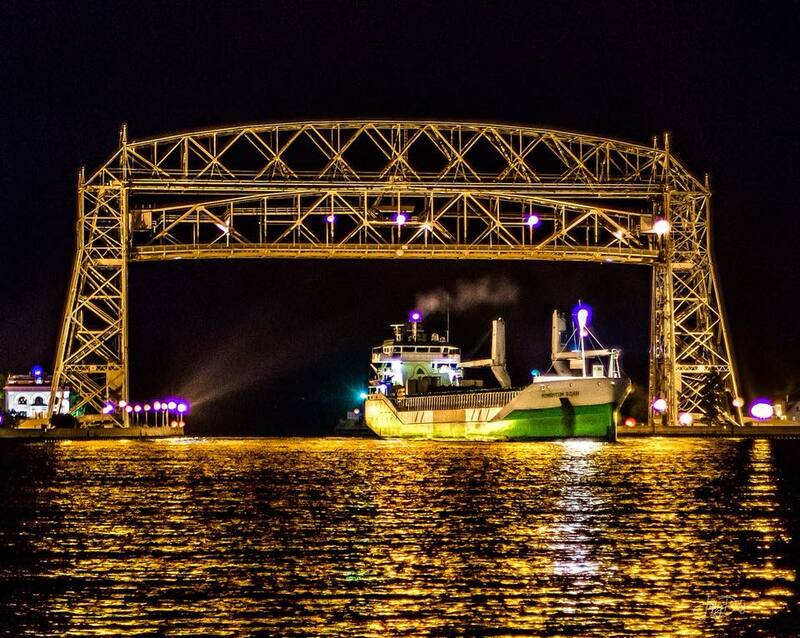 The American Spirit went aground as it made it's way to the Aerial Lift Bridge. Heavy rains over the past few days have made currents in the canal very treacherous. The actual cause is unknown at this time. There was no apparent damage and she did not actually hit the wall. Hopefully, the tugs can work here free from the muck soon. 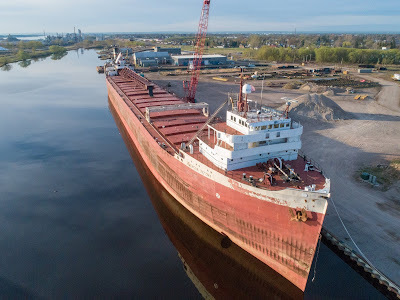 American Victory departed Duluth at 08:00 this morning on it voyage the scrapyard in Turkey. Update 16:50: Spirit did not hit the wall and is about 30 ft off. 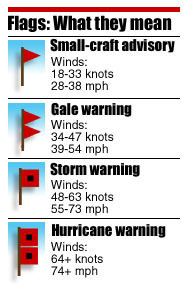 The boat is grounded and will need assistance to break free. No damage reported. I will be doing a complete video of the American Victory departure including, webcams, regular cams, and drones. Should be ready by tomorrow. 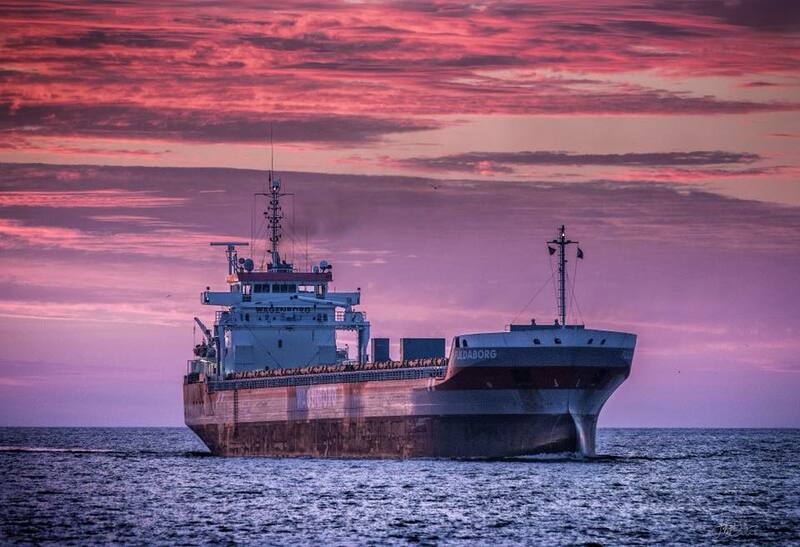 James R Barker departed Two Harbors this morning heading into heavy fog. On my way out to feed the chickens this morning, a large snapping turtle was on the gravel driveway laying its eggs. With a face only a mother could love, I let her go about her business and won't be using the driveway for a few weeks. Due to a large number of people in town for Grandma's Marathon, internet service to Canalcam and Bridgecam may bog down due to high traffic on the main service provider system. Speeds should return to normal by Monday. The American Victory will be towed out the Superior Entry on Sunday Morning ending a chapter in Great Lakes History. The Duluth News Tribune did a nice story on the boat that you can read here. The new Hillside Cam is in service. I will be making tweaks in the days ahead. Right now it is set to scan the harbor every 15 min. I will be trying out different scan rates and focus points once the storms are over in a few days. Thanks for all who donated, this will be a great addition to our harbor views.